McCafé® is now present at over 141 locations in India. Launched in 2013, McCafé an in-house coffee chain offering over 35 beverages. McCafé has been delivering a unique experience to coffee connoisseurs with coffee made from 100% Arabica beans besides offering a range of smoothies, iced splash beverages and share shakes. McCafé has been very successful in creating a different customer experience, optimizing the use of our restaurants at all hours of operation and providing a higher profit margin than our regular restaurant operations. We believe the primary benefit of McCafé locations is that they attract new customers by increasing the variety of our product offerings and improving our image. Created and launched in Melbourne, Australia in 1993, the chain reflects a consumer trend towards espresso coffees. The chain is spread worldwide, with the first one in the United States opening in Chicago, Illinois, in May 2001 when there were about 300 worldwide. Today, McCafé is across Costa Rica, Japan, Paraguay, South Africa, Spain, Ukraine, Canada, Malaysia, UK and India. There are over 5,000 restaurants that sell the McCafé products worldwide. McDelivery®, a global brand extension was successfully launched in India in the year 2005 with an aim to enable utmost consumer convenience. Further extending its offering, McDonald’s launched the McDelivery® Services App (MDS app) in 2014 with the objective of providing consumers with loved food at their fingertips. Currently available across various platforms such as web ordering, mobile app and call centre, the app service is available across 145+ McDonald’s restaurants across west and south India. McDelivery® offers patrons with customisable menu options, maps integration along with real time tracking and enhanced digital payment solutions. Over the years delivery has grown to be one of our focus areas and we are confident of connecting more than ever with consumers to offer them easy, personalized and truly useful features. The breakfast category was launched in the year 2010. 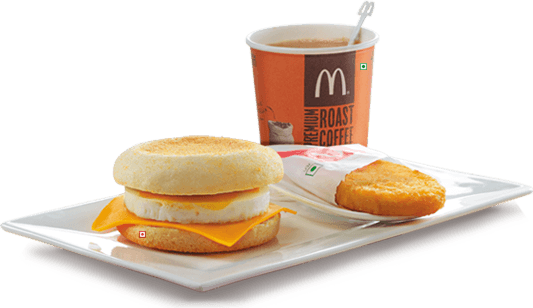 McBreakfast, the first ever branded breakfast category in India was introduced in the year 2017. McDonald's is a pioneer and the only food retailer to offer dedicated branded breakfast menu in the country between 7 am – 11 am. McBreakfast offerings are a perfect balance of vital ingredients and nutrients essential for one’s breakfast. The new breakfast menu is an amalgamation and blend between the classic Continental and Indian offerings (Veg & Egg Muffins, Masala Dosa Brioche, Scrambled Eggs, Hot Cake and Waffles). McDonald’s identified the need to emphasize on the goodness of having a wholesome morning meal with ‘McBreakfast’ and to inculcate the habit of eating fresh meals with a balanced nutrition. McBreakfast caters to consumer interests who can indulge and savour the taste of our new menu offerings and inculcate a habit to un-skip the first and the most important meal of the day. Dessert Kiosks are McDonald’s booths to avail delicious desserts. Dessert Kiosks operate separately from existing restaurants, but depend on them for supplies and operational support. Our Dessert Kiosks are conveniently located to attract customers, thereby serving as important transaction generators and providing an effective method of extending our band presence to non-traditional areas. 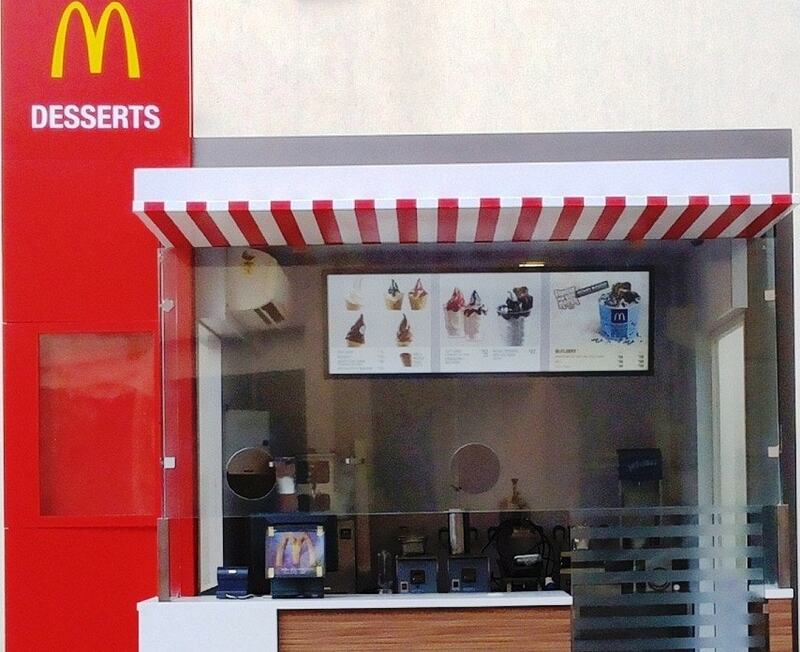 At Dessert Kiosks, customers can purchase a variety of dessert items, including the McFlurry and soft-serve ice cream. Dessert Kiosks require low capital expenditures and provide returns on investment that are significantly higher. As such, we believe they are an important driver in increasing our market penetration.